The festive season is on and the leading automobile manufacturers across India is offering heavy discounts on their vehicles. Notably, the most vehicles on offers are older variants of the products, which received lower sales back in time. The brands in order to push those vehicles retail sales this festive season put them on offers. Altogether, the reports also suggest that the conveying discount on cars in three metro cities is around 5-10 percent more than last year discounts in the corresponding time period. Indiaa��s leading carmaker Maruti Suzuki is offering cash discounts depending on the models demand. One of the most selling and affordable models in the lineup, the Alto is on sale with the heavy cash discount of Rs 30,000- Rs 35,000. While the WagonR is available with discount ranging from Rs 20,000-25000, variant size. Next, in the row, the popular Swift at dealerships is flaunting with the discount around Rs 15,000- Rs 25,000 across variants. Following the Swift, the most fuel-efficient model from the automaker, the Celerio is being offered with the cash discounts of around Rs 20,000 a�� Rs 22,000. Other than this, the buyers will also be availed with other aspects such as free insurance, loyalty and exchange bonuses and government employee benefits, accompanied by the cash discounts. In Kolkata, buyers rushed to the showrooms in big numbers during Navratri. 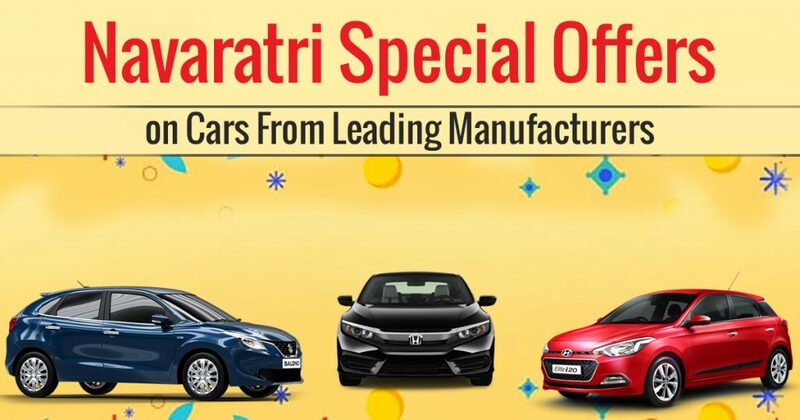 For this special occasion, Maruti is offering a scheme called Magic Box. in which customers will have a chance of winning a LED television, DLSR camera, cooking appliance and other things. Speaking about the Magic Box Contest, a Maruti dealer in southern Kolkata said, a�?We are offering this Magic Box contest for the customers and compared to last year we have also increased the cash discounts by at least Rs 5,000. This year we are hoping the customers will be back after a little slowdown in retail sales after GST and inventory for vehicles like Alto and WagonR is quite high. So there will be no supply issuesa�?. As an estimate, during festive season the manufacturer’s generate around 30% of the annual vehicle sales. The industry experts suggest that this festive season is going to be crucial for most of the cars makers as their retail sales have fallen after July which in turn, stacked up the wholesale volumes. The South Korean auto major Hyundai is offering the heavy discount for its small car Eon in the range of Rs 55,000- Rs 60,000. While, the same for its one of the most selling products, the Grand i10 is around Rs 50,000- Rs 60,000 across the country. A Hyundai dealer in the western suburbs, Mumbai said, a�?The special discounts before Navratri are already in place and that is why you can see such high discounts on Grand i10 which is one of the best selling products in the market. Our inventory also is a little bit higher than last year so fast delivery is not going to be an issuea�?. The Japanese brand Honda is not popular for offering discounts, however, it is also offering the cash discounts for two of its products such as Jazz and Brio in the range of Rs 38,000 to 40,000. An executive in the Honda said,a�?The festive period this year comes at a very crucial time and we hope that volumes will come back strongly. The retail sales have been mixed during the post GST period and we have to offer increased discounts to get the customers back. Also, the vehicles prices have increased so discounts have been increaseda�?.